A return to pocket watches with a remake of the digital classic. The headliner in the 28-strong Jubilee Collection of limited editions to mark IWC’s 150th anniversary is undoubtedly the Tribute to Pallweber Edition “150 Years” pocket watch. A remake of the 19th century original, IWC notes the new Pallweber is the brand’s first pocket watch of the 21st century. That being said, it is worth pointing out that IWC was still making pocket watches well into the 1990s – ranging from the complicated like perpetual calendars, to the curious, antimagnetic Ingenieur pocket watch – being one of the few watchmakers aside from Patek Philippe and Audemars Piguet to do so. 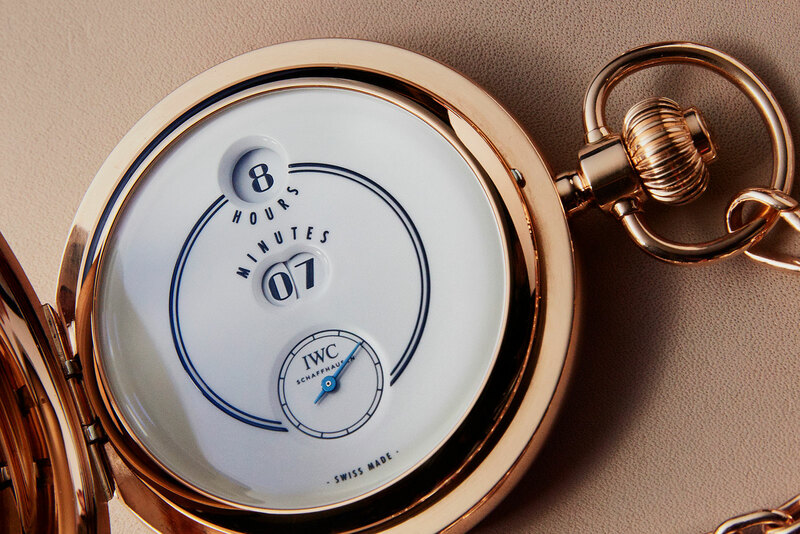 The pocket watch remake was almost not to be according to IWC insiders. Even until almost the end of 2017 it was still not officially part of the Jubilee Collection, which was then announced as a 27-piece line-up. 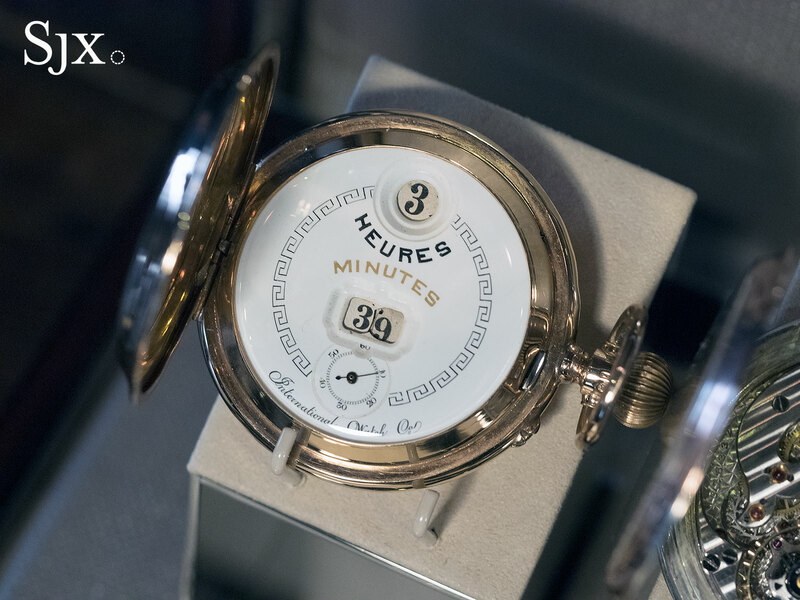 By SIHH that had become 28, thanks to the last minute inclusion of the Pallweber pocket watch. 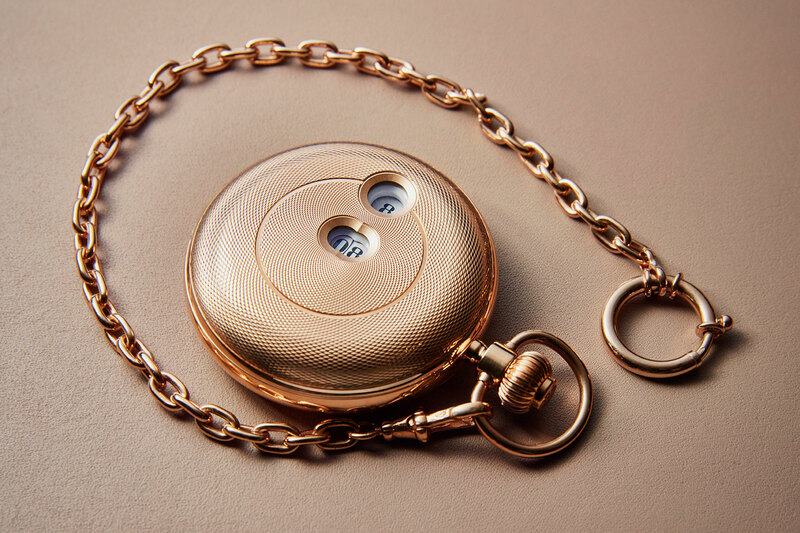 Powered by the same movement as found in the well-received Pallweber wristwatches, the new Pallweber pocket watch is closer to the original, being almost a remake of the Pallweber pocket watch of 1885, which was light years ahead of its time. Characterised by a jumping hour and jumping minute display, the original Pallweber was the invention of Austrian watchmaker Josef Pallweber, who patented it in 1883 and sold the idea to several firms, including IWC. 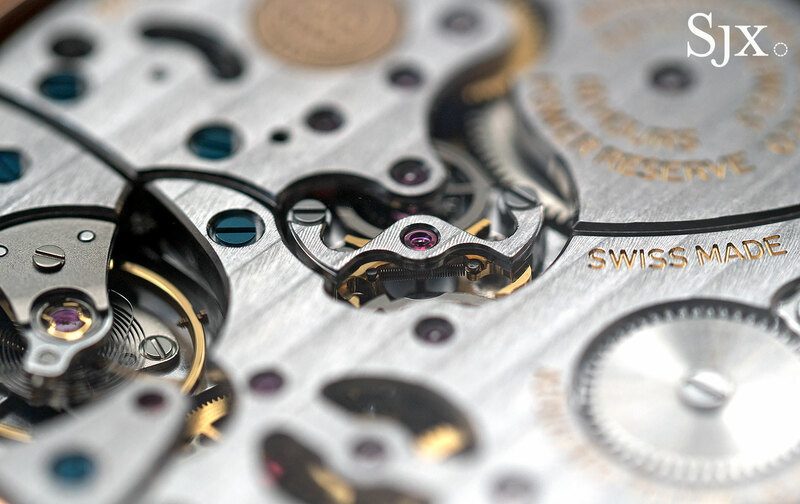 Now a complication synonymous with IWC, the Schaffhausen watchmaker produced approximately 16,500 of them during its brief run up that lasted till 1887. Intriguingly, the Pallweber movement was built on a base calibre named Elgin, a naming quirk inexplicable today but perhaps related to IWC’s heritage – founder Florentine Ariosto Jones was American – and the fame of the Elgin Watch Company of the United States, then one of the world’s biggest watch brands. The modern day Pallweber, however, is entirely in-house and thoroughly Swiss-German. A limited edition of 50 pieces, the Tribute to Pallweber Edition “150 Years” pocket watch is red gold, and a large 52mm by 14.5mm. Compared to the originals, which were fairly primitive watches, the Pallweber limited edition is like a denser, higher quality doppelgänger. 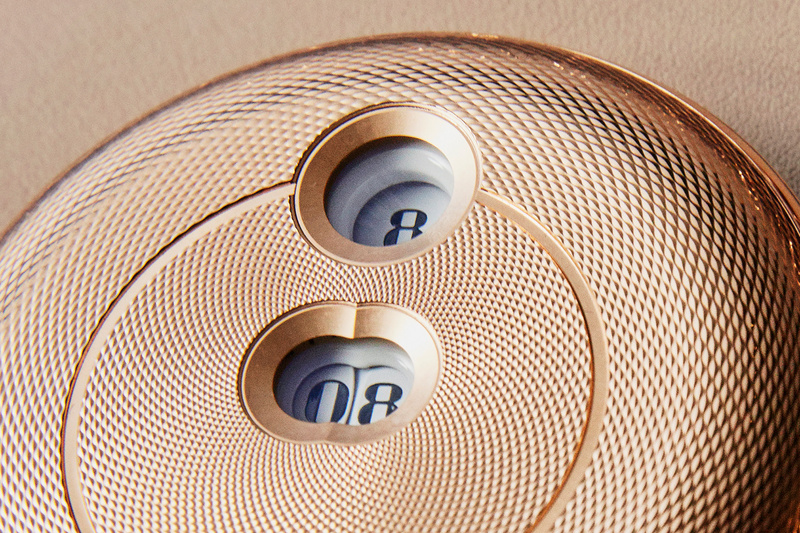 The front has an engine-turned hinged cover that reveals the hours and minutes display through a pair of windows. Lifting the cover reveals the glossy white dial. While the original Pallweber pocket watches had porcelain dials, some of which were hand-painted with slightly kitschy pastoral scenes, the remake has a white lacquered dial that resembles porcelain, a feature that’s common to all the models in the Jubilee Collection. 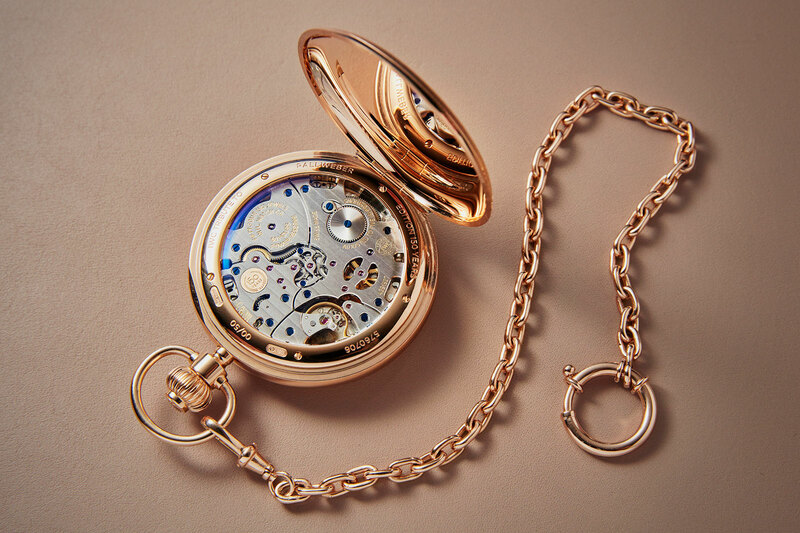 Just like the original, the pocket watch displays a digital jumping hours and minutes in labelled apertures with a running small seconds dial at six o’clock. While the labels for the apertures state the obvious, something commonly rejected by collectors, they are true to the originals, which had dials bearing “hours” and “minutes”, or their equivalents in the various languages of wherever IWC watches were exported. Inside is the newly developed hand-wound cal. 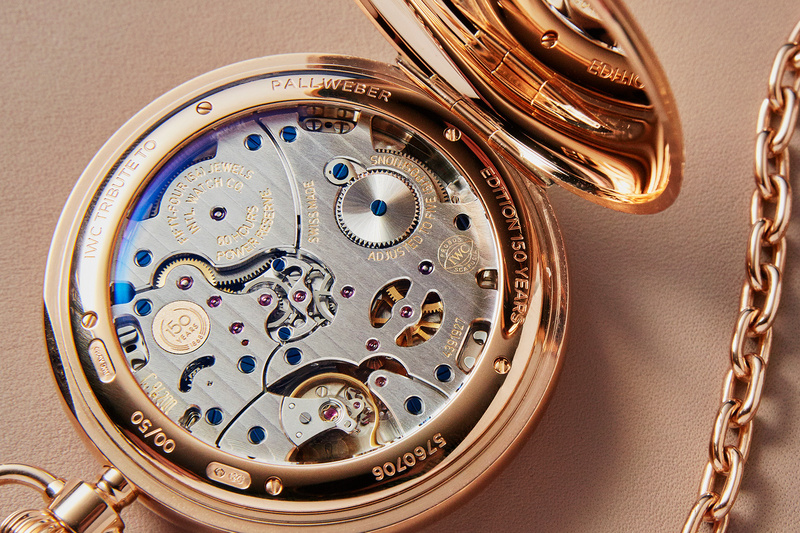 94200 – the exact same movement used in the Pallweber wristwatch. It’s a large calibre constructed in a robust and simple manner, explaining the long power reserve – 60 hours – and the relatively accessible priced compared to similar watches made by other brands (the steel Pallweber wristwatch costs US$23,100). The commendable power reserve is thanks to an additional barrel and wheel train for the minute discs. That means the minutes display, which has a pair of discs that jump, well, once a minute, runs on its own power, not needing to draw power from the regulator. 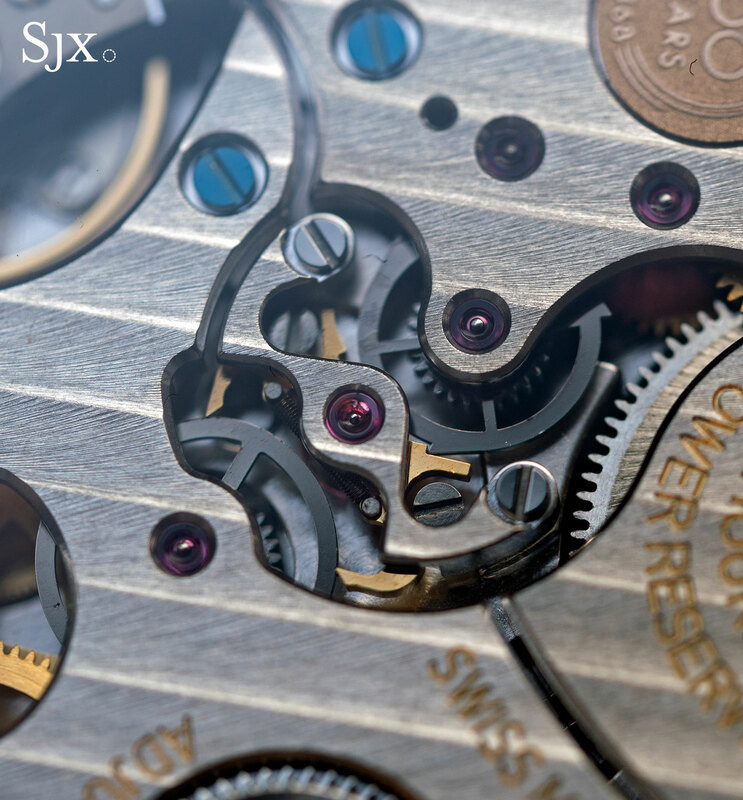 Every minute, a release mechanism (visible at the centre of the movement) momentarily locks and unlocks the gear train that triggers the single minute disc. After 10 minutes, the single-minute disc advances the 10-minute disc, and then at the top of the hour, it also moves the hour ring. Visually, the movement is characteristic of IWC’s modern production, it has a smallish balance wheel and large bridges. As with the rest of the Jubilee collection, the watch’s celebratory nature is made known with an 18k gold medallion on its bridges. 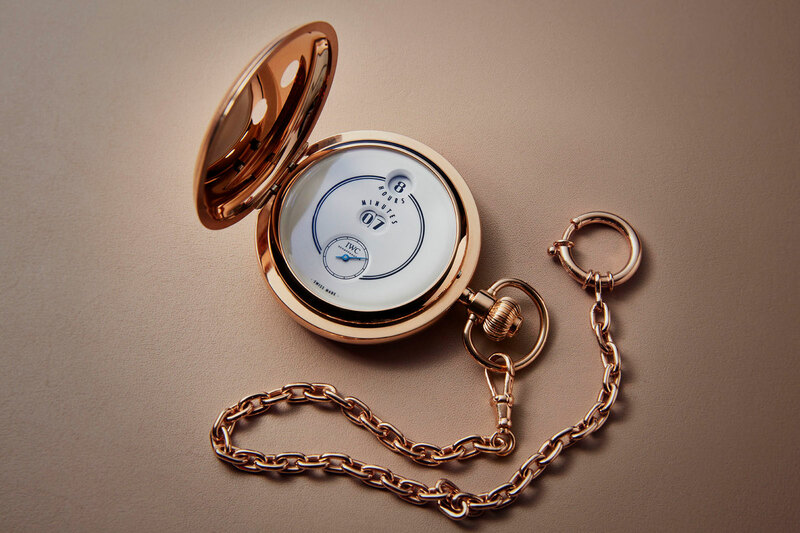 The IWC Tribute to Pallweber Edition “150 Years” pocket watch (ref. IW505101) is priced at €64,700, including 19% tax. It will be available later in 2018.